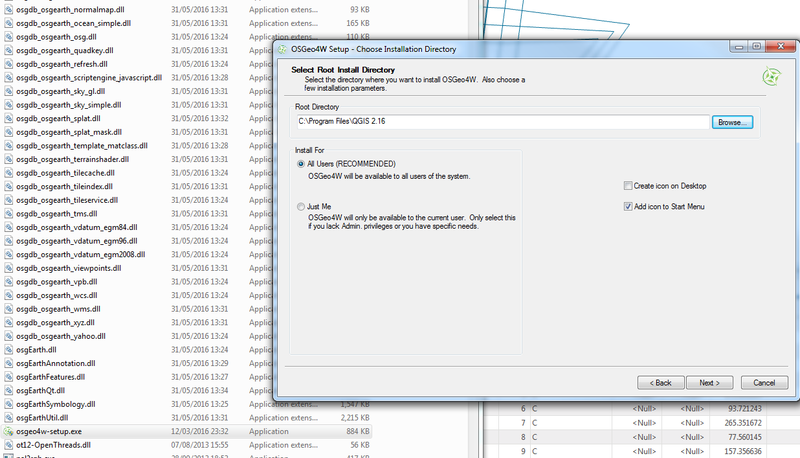 I am trying to install older version of QGIS (2.16) with OSGeo4W. But from the latest OSGeo4W Setup i can choose only 2.18 or 2.14 version. 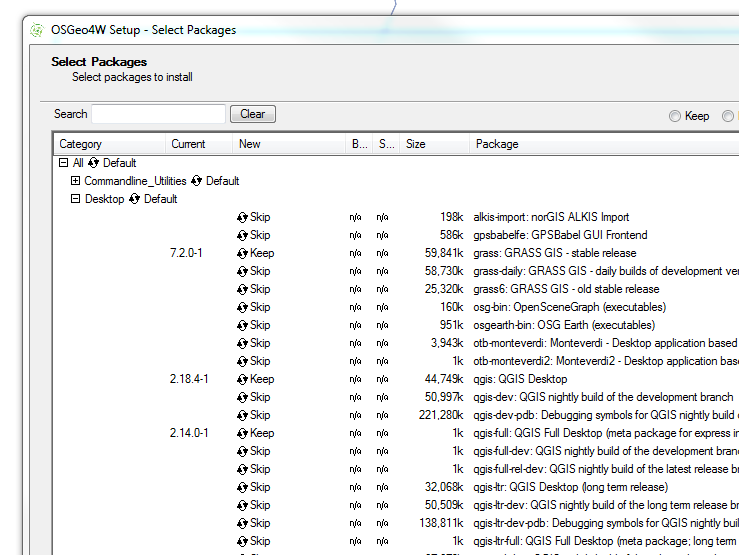 I want to install few libraries that are provided by OSGeo4W setup file to older version of QGIS. How can i do it? OSGEO4W only offers the current point release, the one before (currently 2.18.3), and the dev and LTR version. For older Windows versions, you can still grab the standalone installer from http://download.osgeo.org/qgis/windows/. It will not interfere with or delete the OSGEO4W installation you already have. Then set location to C:\Program Files\QGIS 2.16 and proceed. Inside there i can keep all previous installed files and just add new libraries to existing version of QGIS. Using this method version of Qgis won't be updated. 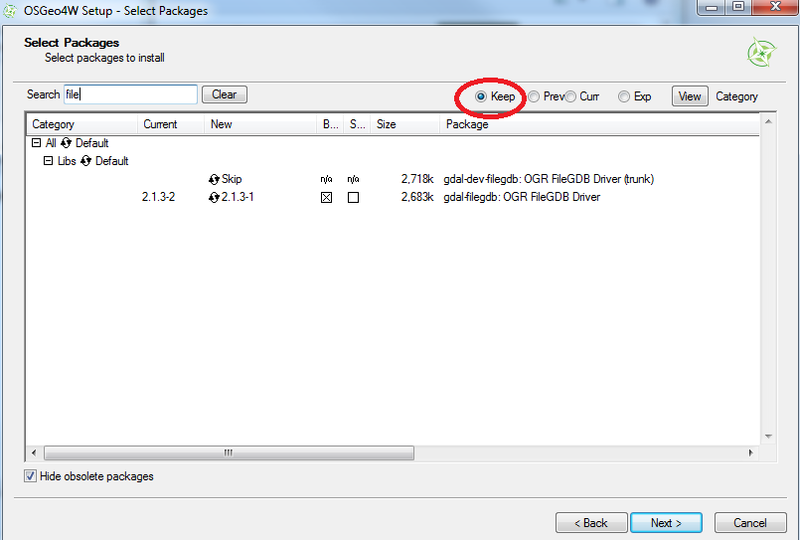 How to interpret the OSGeo4w software version under Advanced Install option?